The inaugural edition of the Kenya University Sports Association (KUSA) Varsity League will kick off on Saturday 29 September 2018 with four fixtures on the cards at the University of Nairobi. 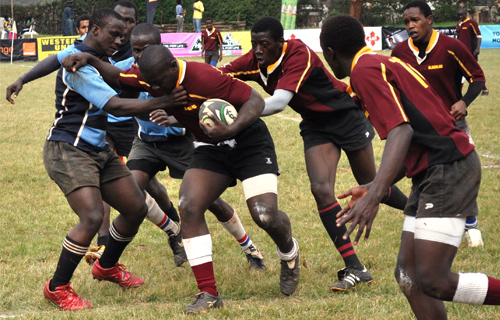 The tournament, launched on 17 September 2018 in Nairobi aims to showcase the best of rugby talent across Kenyan universities and is expected to be full of thrills and spills over its five week duration. Eight university teams have been divided into two pools of four and will play three round robin fixtures each, with the top two sides at the close of pool play heading into the knockout stages. The tournament will come to a close on Saturday 27 October 2018. Saturday's fixtures kick off at 10.00am when the Catholic University of East Africa take on the Technical University of Kenya in a Pool B opener, paving the way for the 12.00pm kickoff pitting Egerton University against the Technical University of Mombasa. This match serves as the Pool A opener. Hosts University of Nairobi will play the University of Eldoret in the second Pool B fixture at 2.00pm before tournament top seeds Kenyatta University lock horns with the Jomo Kenyatta University of Agriculture and Technology in a Pool A encounter at 4.00pm.